Subject: Never Waste Time Again With Your WP Blogs! I am ALWAYS installing WordPress in dozens of fresh, brand-new blogs for my new marketing projects. And, as you can imagine, this is a task requiring a lot of time and effort at the end of the month. And with SO many things to do with your online business, you cannot afford to waste so much of your precious time doing this banal task. That's precisely the reason why I contacted one of my favorite programmers (and by the way, he's not exactly cheap) and asked him if he could help me out to become able to install WP and manage it via a simple admin panel. After weeks of back-and-forth emails I paid him a good sum of money and he set about making it happen. After two weeks, more or less, he came up with the first version of a WP plugin that would literally save my life, and would allow me to increase my productivity (and profits) in a way that I would never have imagined. But the amount of time that I was saving was SO incredible! There's a reason why I want to share this plugin with you. And don't worry, it's not because I am one of those shady marketers who want to sell crap to people. To be honest, it's because I've seen too many people wasting too much time with WordPress. It's not really cool to spend countless hours with your WP blogs when you can get everything done in a breeze: This way you can focus your efforts on much more important aspects of your business… and life!!! Just imagine if you could install and manage your WP plugin lightning fast and without wasting your valuable time? Well, that's exactly what you can accomplish TODAY with my unique, groundbreaking plugin! 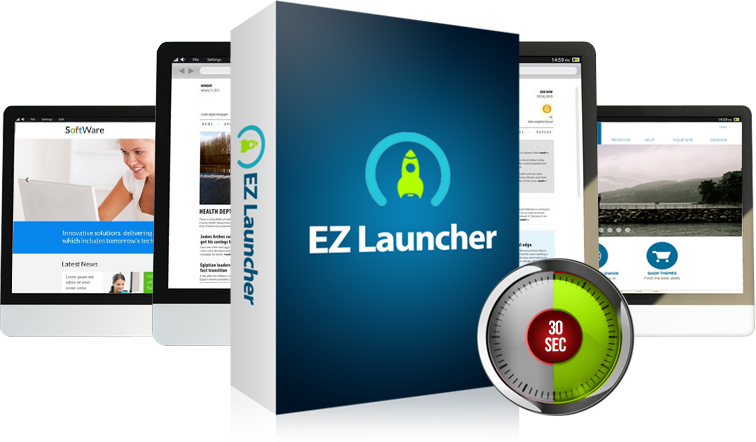 WP EZ Launcher© is a hot and brand new plugin with which you can install WordPress easily, quickly, and can customize everything to your needs - in a way that's PRETTY convenient to YOU. You can easily specify or select the pages that you need or even add other pages that you already have... for example: About Me pages, Legal pages, and much more. You can install and activate the plugins together, and also add or erase the WordPress default posts, categories, etc. This plugin is the right thing for you if you want to install WordPress with complete features in just a few minutes. Very easy to use wizard - In just seconds, complete customizing control of your WP blog. AND GET IMMEDIATE ACCESS TO WP EZ LAUNCHER©! As I told you before, I am here to make your life easier. I understand that you might be riding the fence and have some concerns. After all, the internet is full of crooks and scam artists who are on the lookout to steal your hard earned money and provide NO value in exchange. Well, that won't happen here. In fact, I will allow you to try my useful plugin risk-free. Just go ahead and download my plugin. Use it. Examine it.See with your own eyes WHY it's SO powerful. In the unlikely case you are not satisfied, for any reason or no reason at all, then it's all good. I will refund your money ASAP and you can even keep a copy as a way to say thank you. As you can see, there's nothing to lose. In fact, all of the risk is on me! Unfortunately, if you snooze... you lose. And that's because I am not planning to offer my unique plugin to the whole world. 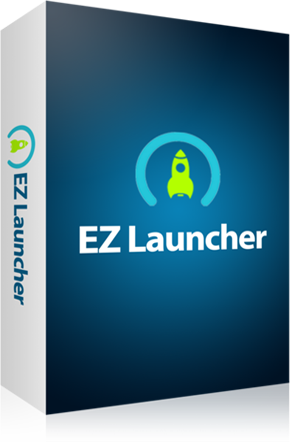 In fact, lots of people won't be able to snag a copy of WP EZ Launcher©. If you don't want to miss out, I highly suggest you grab your copy right now…before I shut down this website! I know you are busy! Tiger WP EZ Launcher Lite version you will be able to use and test many premium features of the plugin.